Display packing basket in full buff willow, size is; 360 x 280 x 90/150mm. Ideal for the retail and catering environments, fully assembled to create your perfect merchandising display. Sold in packs of 5 display baskets. Perfect to display gifts with a shallow front and high back. 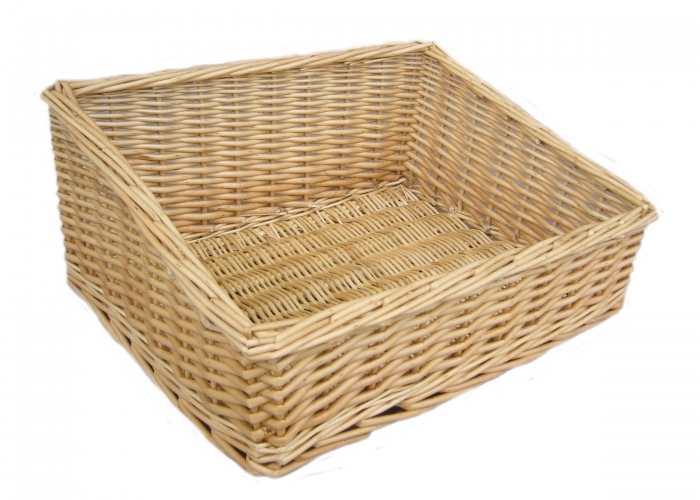 Display packing basket in full buff willow, size is 360 x 280 x 90/150mm. Ideal for the retail and catering environments, fully assembled to create your perfect merchandising display. Sold in packs of 5 display baskets. Perfect to display gifts with a shallow front and high back.